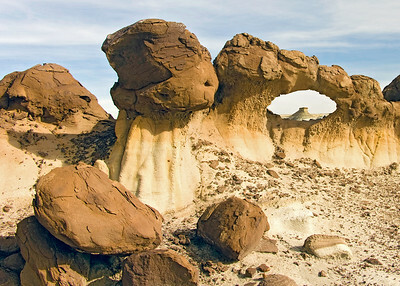 Arch in Bisti Badlands - Bisti de Nat Zin near Farmington, New Mexico. 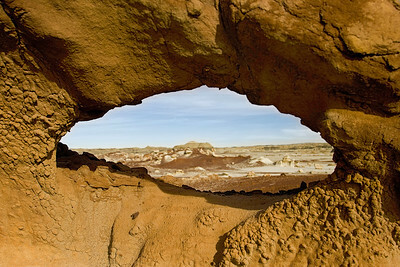 Arch in Bisti Badlands - Bisti de Nat Zin near Farmington, New Mexico. 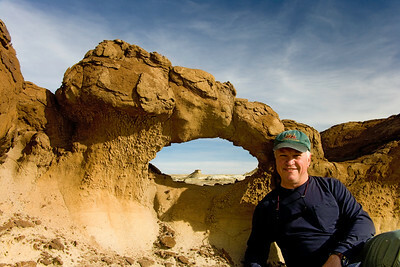 Photographer slacking off. 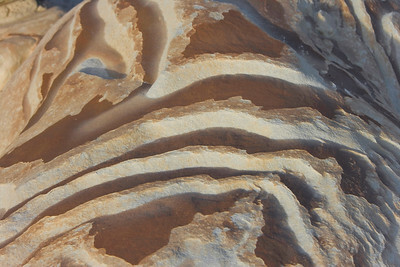 Patterns in rock, Bisti Badlands Egg Factory, Bisti de Nat Zin near Farmington, New Mexico. 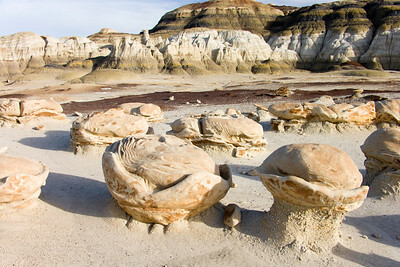 Bisti Badlands Egg Factory, Bisti de Nat Zin near Farmington, New Mexico. 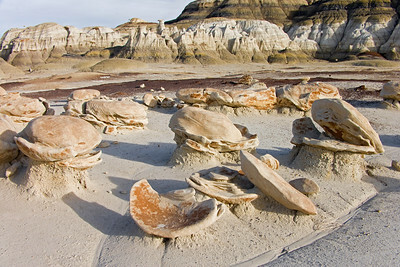 Petrified log, Bisti de Nat Zin near Farmington, New Mexico. 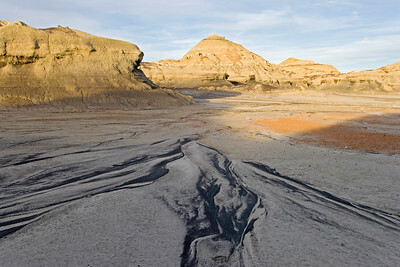 Sand pattern, Bisti de Nat Zin near Farmington, New Mexico. 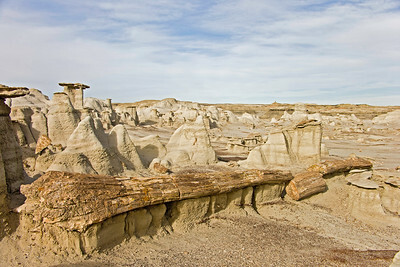 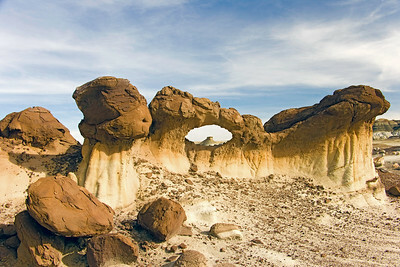 Petrified wood and rock formations, Bisti de Nat Zin near Farmington, New Mexico. 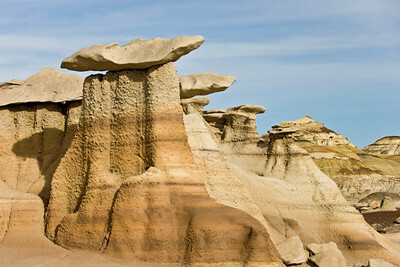 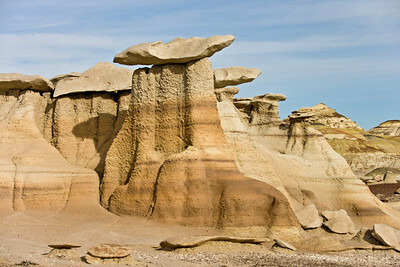 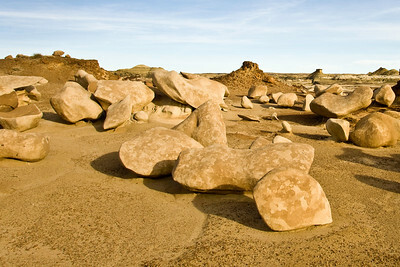 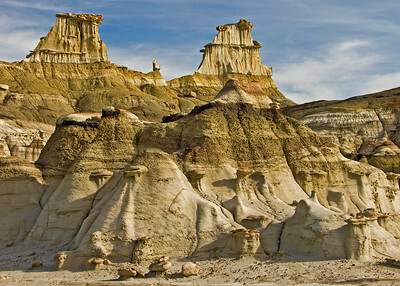 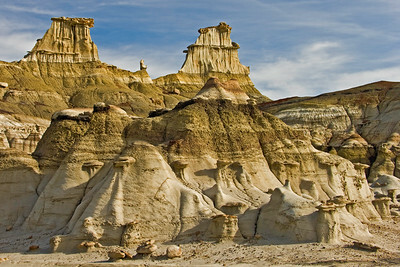 Eroded rocks sitting on pedestals, Bisti de Nat Zin near Farmington, New Mexico. 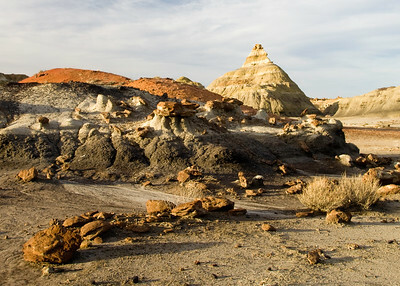 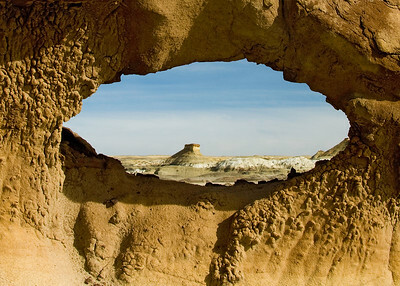 Eagle's Nest, Bisti Badlands, Bisti de Nat Zin near Farmington, New Mexico.